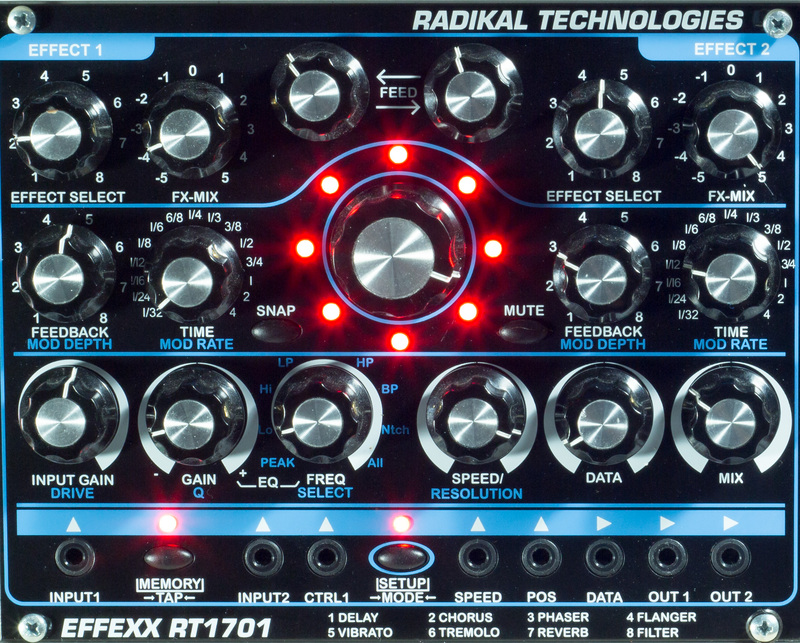 Radikal Technologies showcases the brand new RT-1701 EFFEXX Multi FX-Module for the eurorack world. This new FX unit combines multiple FX processors with Radikal's powerful snapshot animation feature. 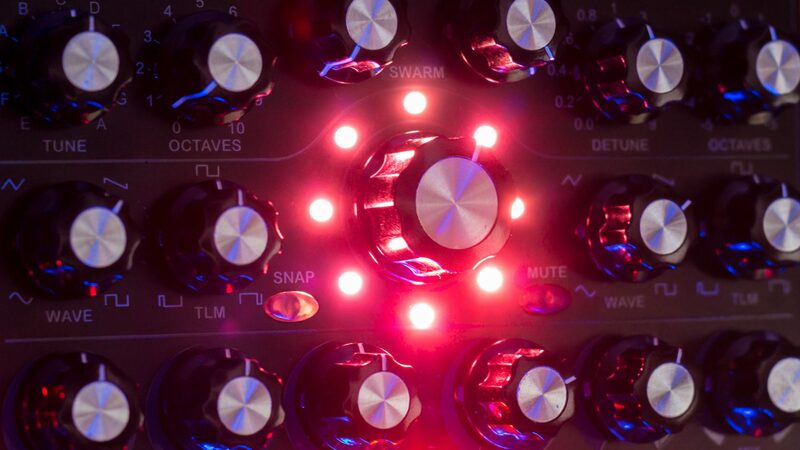 Create the most astonishing FX morphing sounds and control them with external control voltages from envelope generators, step sequencers or LFOs. For the first time, we are also presenting the Release version of the Swarm Oscillator RT-311 that recently hit the US market. We are at in Hall C, boothnumber 4803. The RT-1701 features a gain stage with saturation, a very flexible EQ/Filter section and 2 selectable DSP effects for the modern electronic musician. The following effects are available: Reverb, Delay, Chorus, Phaser, Flanger, Tremolo, Vibrato, Filter. Effect combinations and settings can be memorized in up to 8 snapshots for every program. The snapshot blender allows for creating smooth transitions between the different snapshots. The blender can be controlled by an internal LFO or with external control voltages. By blending from one snapshot to the next, the module produces a mix between the two FX snapshots. A high resolution frontpanel picture of the front panel can be found here. Already convinced? Then start dreaming at modulargrid.net.